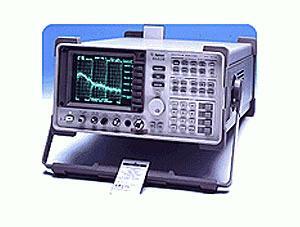 The Agilent 8562E is a high-performance spectrum analyzer that provides the frequency and dynamic range (DANL: -151 dBm) needed for the high-speed digital wireless communication applications of today. It allows manufacturing and R&D engineers to test network components with state-of-the-art performance. The 8562E has a frequency range of 30 Hz to 13.2 GHz, which covers the spur-search ranges specified by leading standards organization in Europe and the United States for GSM. With its fast DLP execution speed, Agilent 8562E reduces your test times in production.